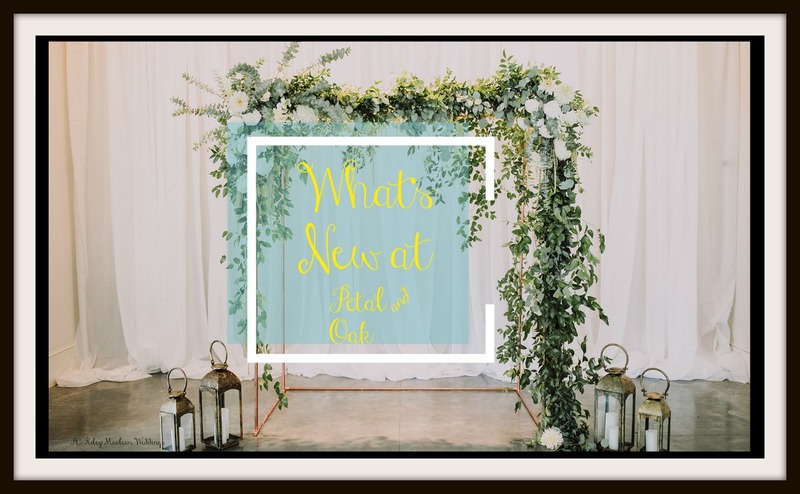 What's New at Petal & Oak - Petal & Oak - Award Winning Florists, Custom Builders, Chic Furniture & Decor Rental in Raleigh, NC. We cannot wait to show y’all what’s new at Petal & Oak in 2019! We have some amazing new inventory items that we have been excited to introduce to you for over a month now. Let’s jump right in! 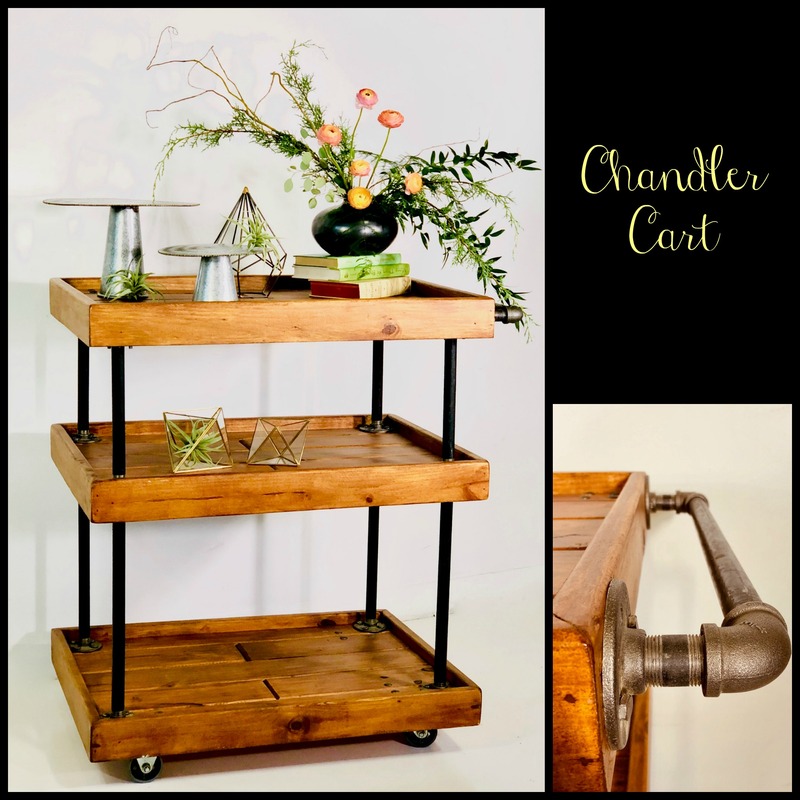 Our Chandler cart, in all its industrial glory, comes straight to you out of Jeff’s workshop. This cart is perfect for rolling your favorite treats directly to your guests, displaying your most important pictures/ event items, or simply being the perfect accent piece. One thing’s for sure, you will absolutely love it. How in love with these new pillows are you? 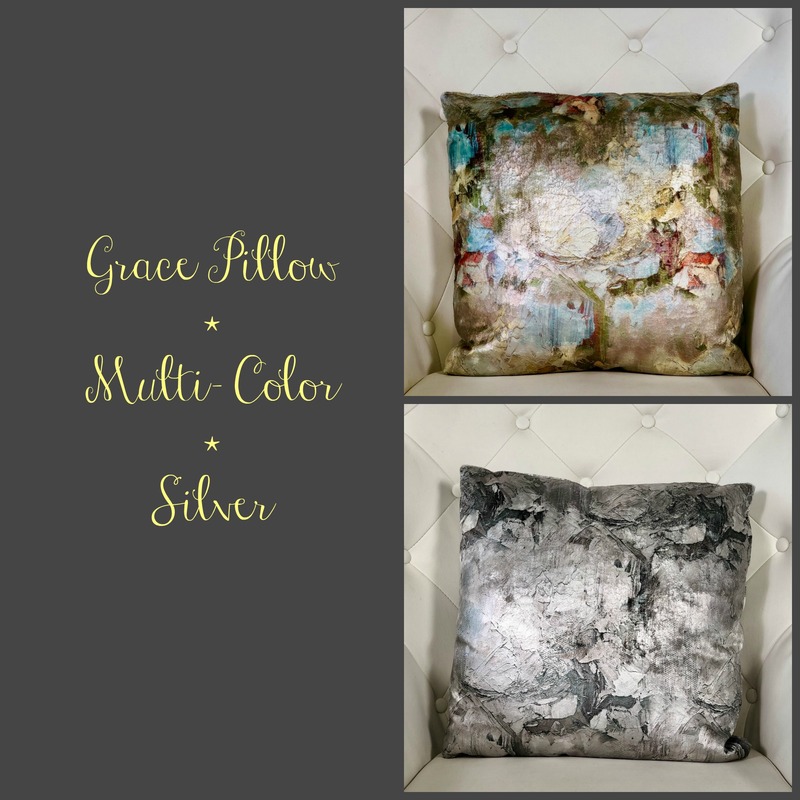 The Grace pillow comes in multi color, or silver as you see listed above. They truly are the perfect addition to any romantic impressionists event! The Rain rugs are such a fun bright burst of color, aren’t they? 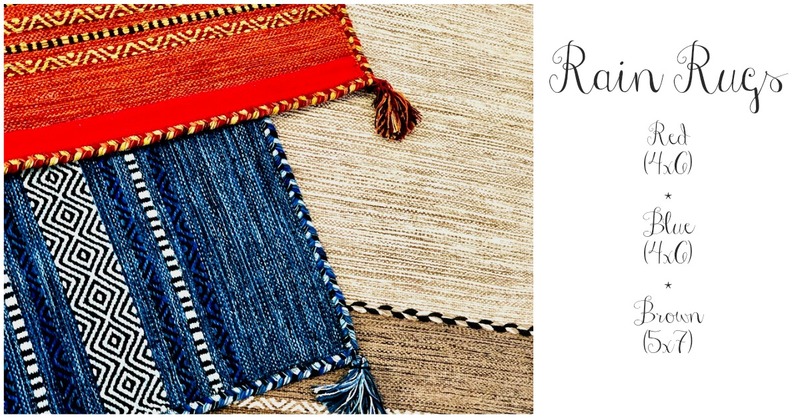 These hand woven rugs hail directly from India, and come in red, blue and brown. Adding one of these rugs to your next event is the perfect way to achieve that layered look we all desire. There you have it, friends! Aren’t those some really great items we’ve added? Our inventory is constantly growing, so check back in next month when we feature more new items. Also, remember that our new inventory is only a click away, as we have an entire section on the website devoted to our new items!